Monte Santa Tecla Museum is superbly located on a hill overlooking the town of La Guardia with commanding views of the mouth of the River Mino,the open Atlantic Ocean and Portuguese mountains. 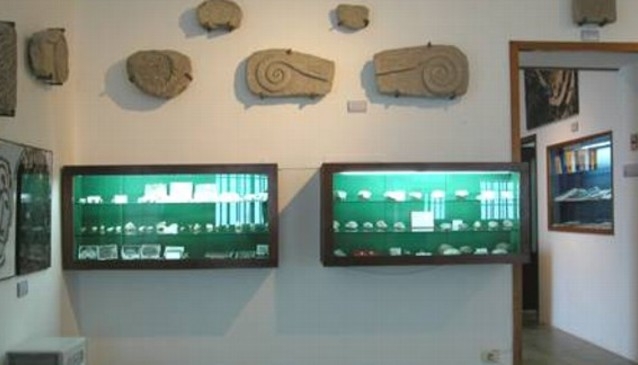 The Museum collection comprises items found during the various digs in the Galician/Roman settlement of Santa Trega, discovered in 1913 and which range from the Paleolithic, Mesolithic, Neolithic, Late Bronze Age, "Castrexo" and Roman periods. Highlights include: Asturian pickaxes, scrapers, hooked axes, zoomorphic tools, idols, mills, native and Roman pottery, coins, swastikas, torques, swords, household utensils, etc. Part of the settlement has been re-constructed and can be visited, and has two houses given the appearance of those used by the original settlers. The settlement also contains groups of Bronze-age rock carvings. The settlement and the museum were declared National Historical and Artistic Monuments.There is a virtual tour of Monte Santa Tecla under Gen Info category of website. FROM THE WEEK BEFORE EASTER TO DECEMBER 9: Tuesday-Sunday from 10:00 a.m. to 8:00 p.m. Closed on Mondays. During this period, an entrance fee is charged for access to the hill and the installation. Access to the hill is free on Mondays. REST OF THE YEAR: Closed. In this period, access to the hill is free.